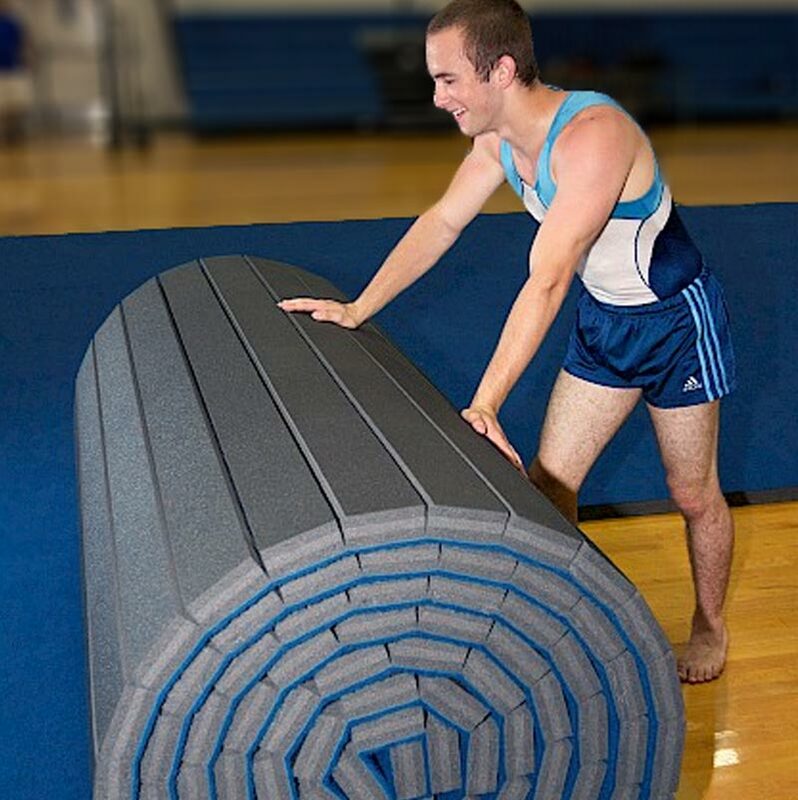 The Beemat ® Training Floor Area or Gymnastic Runway features a highly responsive yet lightweight foam, covered with a carpeted surface for use in the gym. This makes the gymnastics runway matting dynamic and comfortable to use. 6 Gymnastic runways can be placed side by side to facilitate the creation of a training square or area for general gymnasium floor routines. An ideal mat for use in gymnasiums and exercise rooms. Made from three laminated layers of ultra light dynamic polyethylene foam, 35mm thick, the top-layer is durable polyester needlefelt and bottom layer is an anti-silp grade polyethylene foam. Suitable for making 12m x 12m floor areas. Available in sizes: 6m x 2m (28.5kg), 12m x 2m (45kg) with undercuts. 6.00m x 2.00m x 35mm - 19'8" x 6'7" x 1.38". 12.00m x 2.00m x 35mm - 39'4" x 6'7" x 1.38".